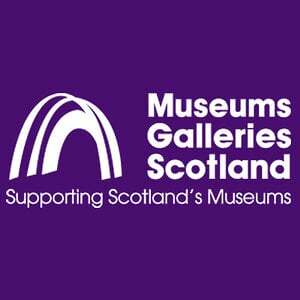 Museums Galleries Scotland (or MGS) is the National Development Body for the museums and galleries sector in Scotland. We are also the first accredited ICH NGO in the UK. We act as the representative for Scotland’s museums and galleries, custodians of Scotland’s rich and diverse intangible and tangible cultural heritage and centres of community life and engagement, which offer unique and personal experiences to visitors. We promote the sector’s work to the Scottish Government, stakeholders and the public, and advocate the public value and contribution of museums and galleries to society. We published “Going Further: The National Strategy for Scotland’s Museums and Galleries” which outlines the ten year vision for the museum sector in Scotland in March 1012. The current related delivery plan “Realising the Vision” was published in July 2015. Provide development funding for museums for projects that are safeguarding and revitalising ICH such as the Coastal Rowing Community. Commissioned initial research scoping ICH in Scotland. Key partner in research project to develop an ICH wiki for Scotland. Present internationally on ICH in Scotland. Iconic Artists in Iconic Places funding stream – a collaborative project by Museums Galleries Scotland and Creative Scotland that enabled artists to cast a new perspective on museum collections, historic sites, and Scotland’s intangible cultural heritage, also known as living culture. Festival of Museums – organised by Museums Galleries Scotland, coincides with other Europe-wide celebrations of the many eclectic cultural experiences offered to visitors by museums and galleries. Redeveloped the ICH Scotland website. Partnered with Traditional Arts and Culture Scotland (TRACS) on “Traditions in Place” events one aim of which was to encourage local practitioners and communities to engage with the ICH Scotland website. Partnered with TRACS to organise an international symposium on ICH, looking specifically at ICH in relation to human rights, identities and sustainable development: For Everyone: The Role of Living culture in Identities and Sustainable Community Development’.